Many of the pictures which I post are of the wonderful views from the Domaine, but I am often asked for pictures of the Domaine. As our vines surround the Domaine we get lots of different views of it as we work the land. This is one of my favourites. 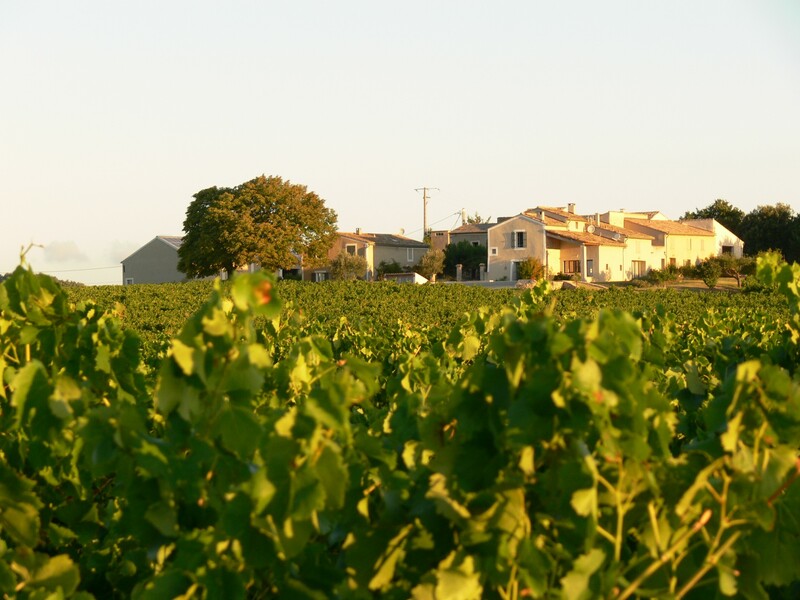 It is looking at the Domaine from the South East across our Côtes du Rhône Villages Grenache vines. The picture is taken early in the morning with the rising sun hitting the East side of the buildings. The winery is to the far left of the picture and our gites are in the front of the picture, looking South.